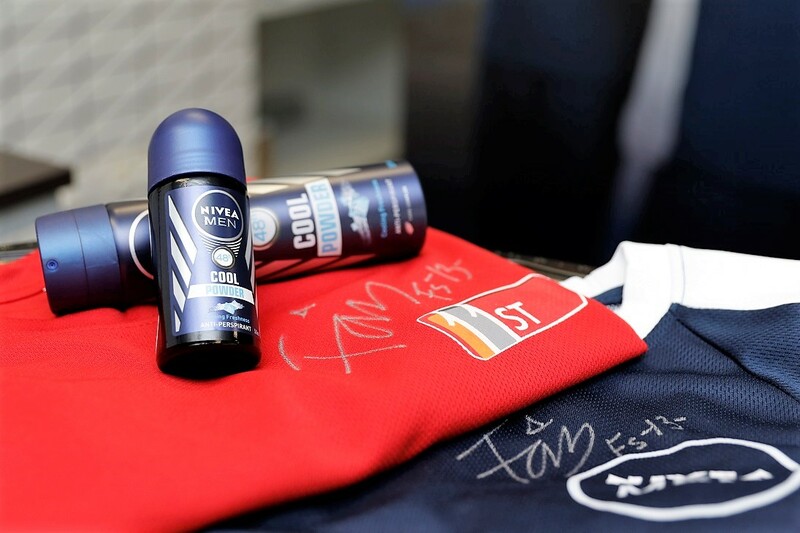 Signed jerseys by Faiz Subri, Brand Ambassador of NIVEA MEN and winner of the FIFA Puskas Award 2016, to be exchanged between 11street and NIVEA MEN to commemorate the partnership. 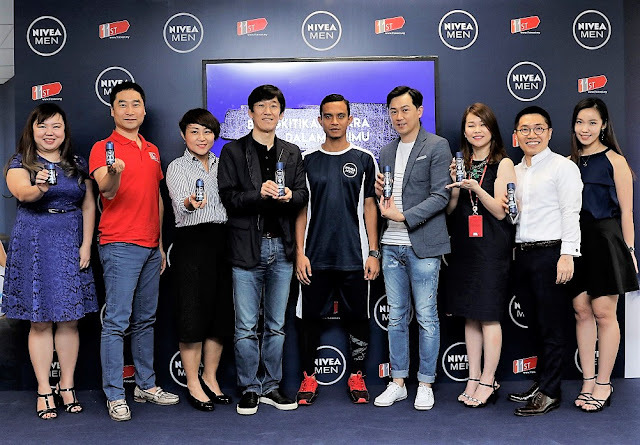 Faiz Subri, Brand Ambassador of NIVEA MEN and winner of the FIFA Puskas Award 2016, showing off his football skills at the launch of the NIVEA MEN Cool Powder Deodorant on 11street . 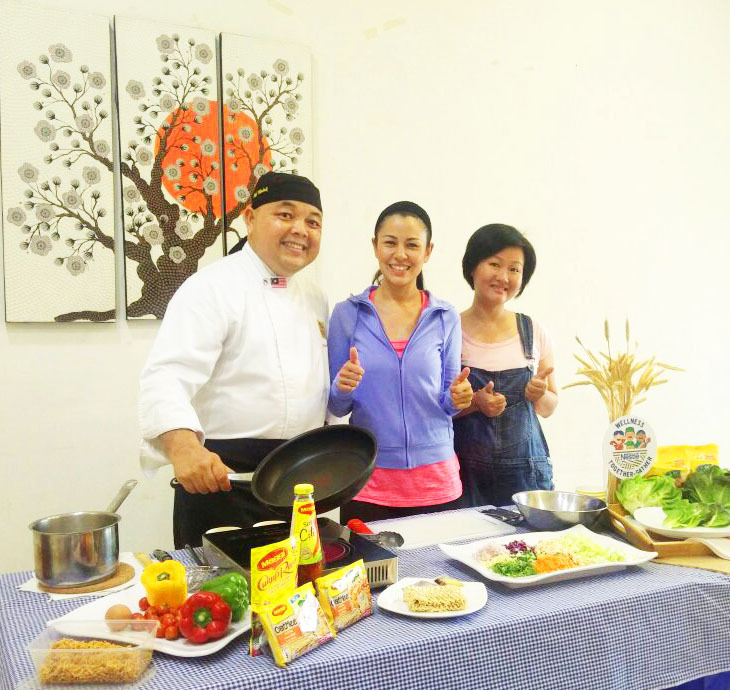 Faiz Subri, Brand Ambassador of NIVEA MEN and winner of the FIFA Puskas Award 2016, witnessing a jersey exchange between Chuljin Yoon, Chief Operating Officer of 11street (left) and Ng Hock Guan, Country Manager of Beiersdorf Malaysia and Singapore (right), at the launch of 11street’s partnership with NIVEA MEN. Photo 4 – From left to right: Jessica Kan, Marketing Manager of Beierdorf Malaysia; Bruce Lim, Vice President of Merchandising Division of 11street; Shirley Toh, Sales Director of Beiersdorf Malaysia; Chuljin Yoon, Chief Operating Officer of 11street; Faiz Subri, Brand Ambassador of NIVEA MEN and winner of the FIFA Puskas Award 2016; Ng Hock Guan, Country Manager of Beiersdorf Malaysia and Singapore; Kenix Fong, Acting General Manager of 11street; Cheong Wai Lun, Head of Marketing of Beiersdorf Malaysia; and Toh Voon Shee, Brand Manager of Beiersdorf Malaysia at the launch of 11street’s partnership with NIVEA MEN. From left to right: Chuljin Yoon, Chief Operating Officer of 11street; Faiz Subri, Brand Ambassador of NIVEA MEN and winner of the FIFA Puskas Award 2016; and Ng Hock Guan, Country Manager of Beiersdorf Malaysia and Singapore, posing with the newly launched NIVEA MEN Cool Powder Deodorant now available on 11street.